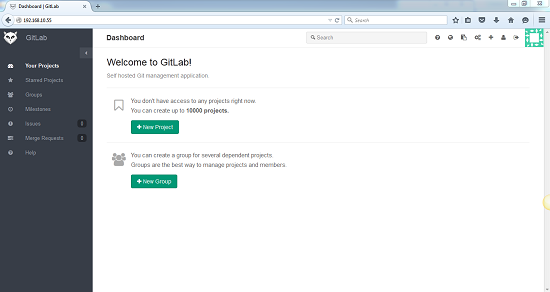 GitLab is a web-based Git repository manager and issue tracking features. GitLab is similar to GitHub, but GitLab has an open source version, unlike GitHub. Git repository management, code reviews, issue tracking, activity feeds and wikis. It comes with GitLab CI for continuous integration and delivery. 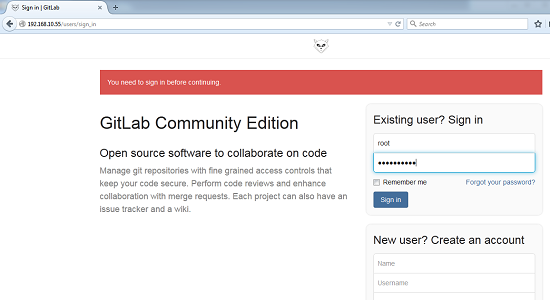 This article will help you to install Gitlab on CentOS/RHEL using Omnibus install method. The Omnibus project is a full-stack platform-specific solution. You need to configure mail service on our server. We can use any mail service like postfix, sendmail, exim etc. In this article I am using postfix email service. Use following command to install GitLab packages on server. I have install Gitlab, but i run http://103.7.43.195/ it not show Gitlab page, can you help me fix it? Do you follow proper steps?